Concordia Publishing House is proud to be the exclusive publisher and provider of the hymnals and worship materials approved by The Lutheran Church—Missouri Synod. As such, we make available the constellation of resources prepared for the Lutheran Service Book and its predecessor hymnals. Dig deeper into our Music product offering using our new advanced Music Search. The ebook edition of Lutheran Service Book is available through Amazon and Apple. The Lutheran Service Book features Christ-centered services, psalms, hymns, and prayers. The Lutheran Service Book: Altar Book is a thorough rubric that guides pastors in leading corporate worship. The Lutheran Service Book: Agenda outlines comprehensive rites and blessings for the pastoral care of congregations. This expansive resource provides the pastor with a wealth of materials in his work of caring for souls in times of sickness and distress. Spaciously designed volume prepared in "sense lines" with pronunciation guides in the margin for biblical names and places. 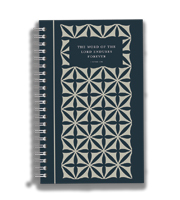 Spaciously designed volume with pronunciation guides and readings for Feasts, Festivals, and Occasions. An extensive collection of organ prelude, offertory, and postlude recordings for worship based on hymns in Lutheran Service Book. Guitar chords provided for all services in Lutheran Service Book in an easy-to-print downloadable format. This convenient little booklet contains the Collects of the Day from the Lutheran Service Book. Easily bookmark pages with four colorful, durable ribbons. Enhance your hymnals with bookplates coordinate with the Lutheran Service Book. These bookplates mark certain hymnals as gifts in recognition of a person or event. Create or enhance your bulletins, newsletters, presentations, websites, and more with iconic line art. The most comprehensive collection of resources for the pastoral care of Christian individuals, families, and communities. Android. The most comprehensive collection of resources for the pastoral care of Christian individuals, families, and communities. iOS universal app (iPhone, iPod Touch, iPad). Comprehensive organ preludes based on the hymn tunes of Lutheran Service Book.